This pygmy owl is a common visitor to our back yard and doesn't mind posing for his portrait! 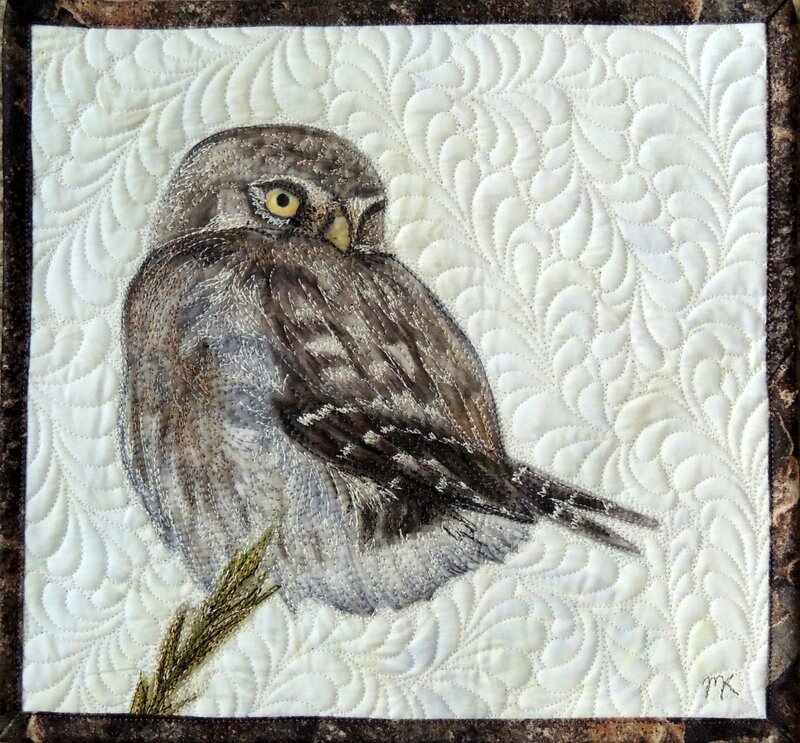 This wall art quilt is an original watercolor on fabric, thread embellished and then quilted and bound. Has sleeve attached for hanging.